Cross-over processes / trans-, inter-, meta: how we might cross-over between fields – metaphor, aesthetics, process? 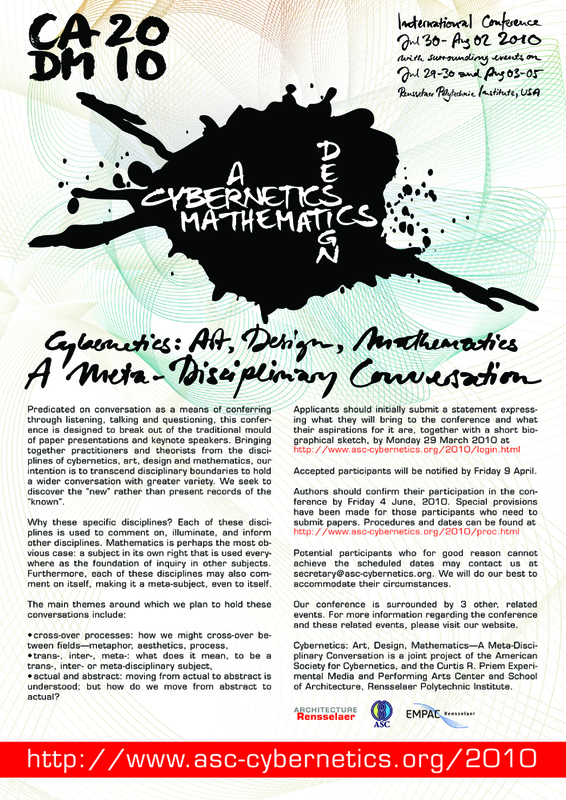 What does it mean, to be a trans-, inter-, or meta-disciplinary subject? Evenings will be left free during the conference for improvisation, performance and demonstration; and for impromptu workshops. Formal paper presentations may also take place in the evening.